If you were on the hunt for good coffee in Nashville 10 years ago, your options were decidedly limited. Times have changed though, and now you’ll likely see a coffee shop on practically every corner -- Nashvillians, it seems, like to stay well caffeinated. However, just because a coffee shop has a swanky interior and an archetypical staff donning denim and long beards, doesn’t necessarily mean that their coffee is actually good. Instead of playing roast roulette, check out these eight places guaranteed to perk you up with no bitter aftertaste. We’ve been big fans of Steadfast since the day they opened the doors to their first location in Germantown. The interior is simple and sleek but their menu is extensive and perfect for any time of the day. 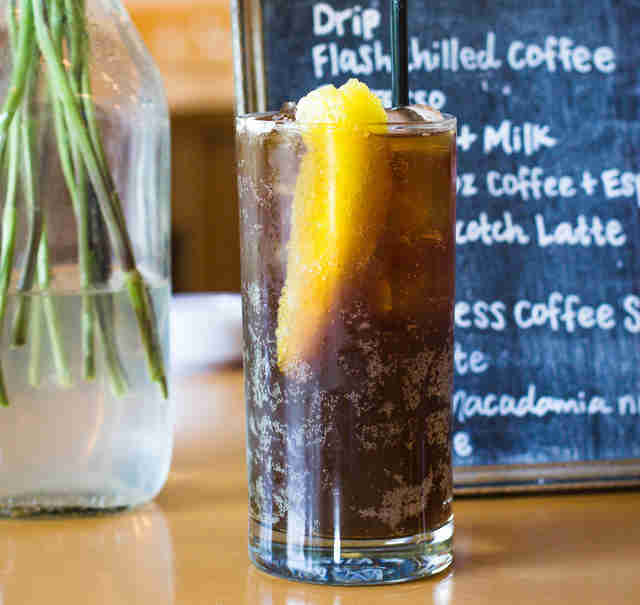 We’re particularly fond of their coffee soda which is a necessity for the hot summer months coming up. This is also a great spot if you’re looking for a delicious meal to enjoy with your Joe. Slow Hand is a small shop located right by Cummins Station. They have great coffee and even better pastries. Their display stays stocked with favorites such as their sconuts and they always have new seasonal pastries rotating in. 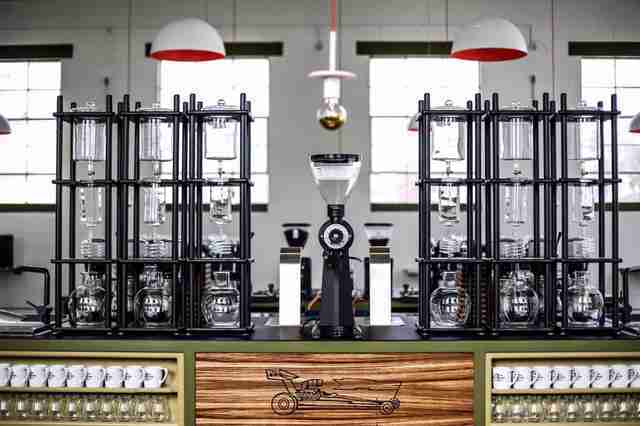 One of the most nationally recognized coffee shops in Nashville, Barista Parlor continues to be one of our all time favorite spots in the city for a good cup of roasted beans. We’re particularly keen on their Germantown location although you really can’t go wrong with any of their Nashville spots. 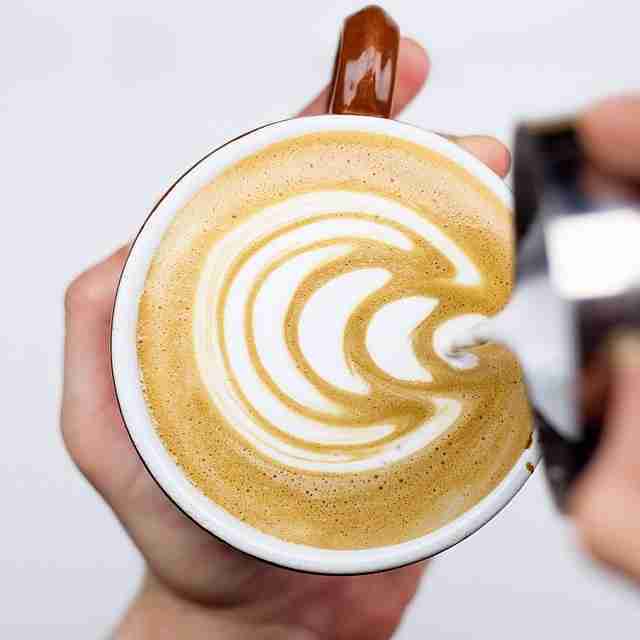 Barista serves beautifully roasted coffees that are brewed in a variety of different ways. Bonus: they have an amazing collection of American-crafted chocolates to pair with your drink. If we were forced to choose our all time favorite coffee shop in Nashville, Crema might win the bid. 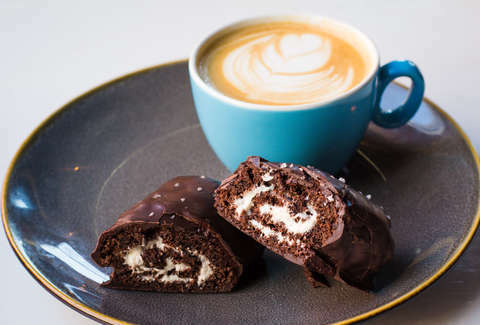 Crema is located in SoBro (with a small location in Pinewood Social, as well), but their coffee can be found throughout the city in locations including the Turnip Truck and Dozen Bakery. Crema has a delightfully laid back atmosphere that’s perfect for a meeting or just a casual coffee with friends. They also have a decent-sized patio so you can enjoy your coffee outdoors in the nicer months. We recommend their Cuban latte with a side of avocado toast. This little shop is located directly next to Jackalope Brewery. It’s can be easily overlooked but if you’ve never been there, you need to take a coffee break ASAP and get moving. They have a great selection of drip and pour over coffees, iced coffees, and a nice menu of pastries and breakfast paninis. 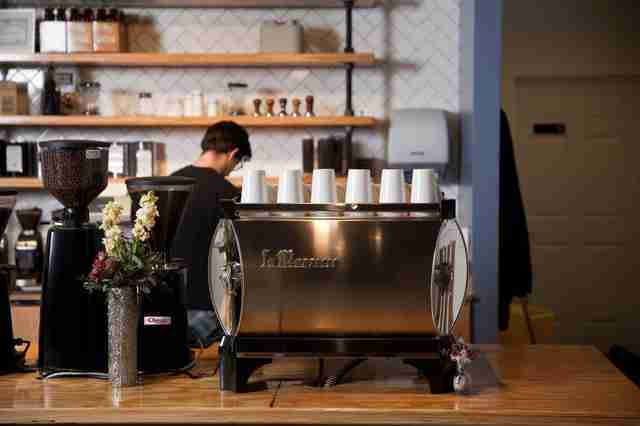 Dose is THE go to spot for great pourover coffee (as well as at-home brewing equipment). They have a regular selection of coffee from Counter Culture as well as a rotating selection of ‘by-the-cup’ coffees from roasters around the US. Their first location has been such a success that they’re in the process of opening up another in Riverside Village and will have a fully functioning coffee truck roaming the streets of Nashville this summer. Our top menu picks include their Ginger Latte with a pastry or a Bagel Face Bagel on the side. We’re clumping the whole family of Bongo Java coffee shops together because we’re rather fond of each of them including Bongo East, Fido, and Hot & Cold. If you’ve been around Nashville long enough, then you’re familiar with the time that Bongo became a world famous coffee shop thanks to The Nun Bun -- a cinnamon bun that just so happened to look like the face of Mother Teresa. The Nun Bun is no longer around (it was stolen) but they still serve some of Nashville’s best coffee in a relaxed and cozy atmosphere. Ugly Mugs is a very laid back joint in the heart of East Nashville. It’s probably one of the best spots in the city to study or get a bit of work done. Especially in their big comfy chairs or outside on their patio. And if you’re looking for a friendly environment that’s suitable for kids or a group meeting, Ugly Mugs is the spot. Sign up here for our daily Nashville email and be the first to get all the food/drink/fun the Music City has to offer. Brita Britnell is a Nashville based food photographer and blogger who has a serious coffee addiction and takes no shame in photographing every latte that she consumes.